By Melissa Lennig on June 15, 2016 1 Comment. This content contains affiliate links. As an Amazon Associate I earn from qualifying purchases. 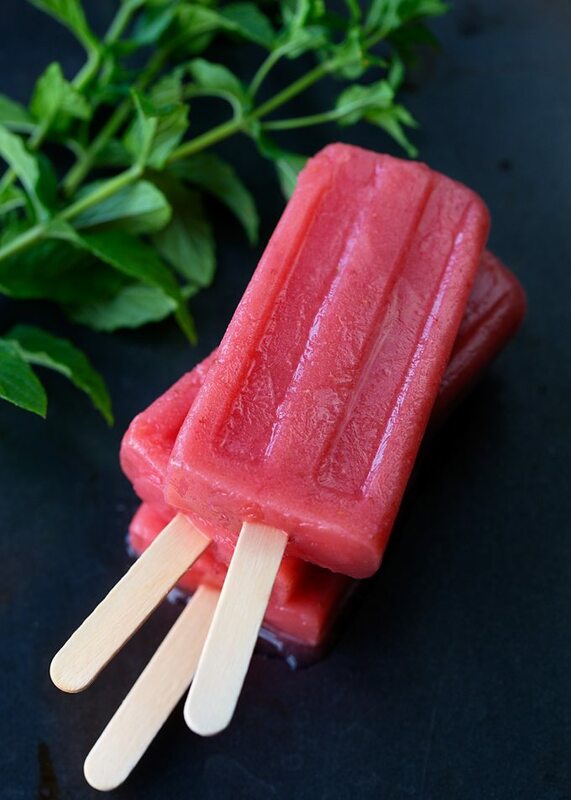 Homemade Watermelon Berry Popsicles are the perfect remedy to hot summer afternoons. Made with fresh fruit, they are a refreshing and healthy choice for kids. This post may contain affiliate links. Opinions are my own. High fructose corn syrup, artificial flavor, red 3, blue 1, and yellow 6…these are just some of the most common ingredients found in store-bought popsicles being marketed to kids. As a mom striving to make healthier choices for her family, artificial dyes, flavors, and high fructose corn syrup are never on our grocery list. Thankfully, making frozen treats at home is a simple and realistic option. 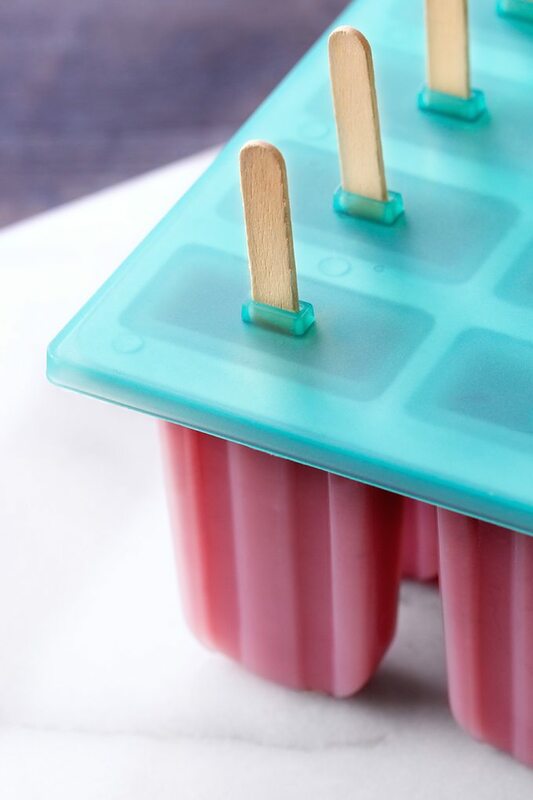 All you need is a popsicle mold, a blender, popsicle sticks, and fresh or frozen fruit. Fresh watermelon and ripe summer berries are the perfect flavor combination. 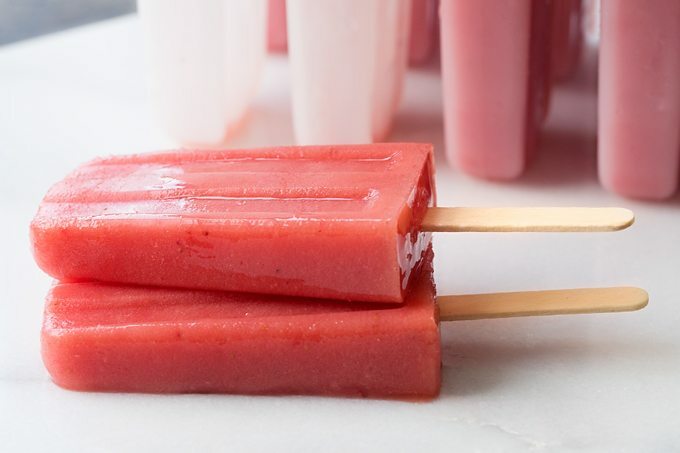 Sweet and colorful, these popsicles do not require any additional sugar. 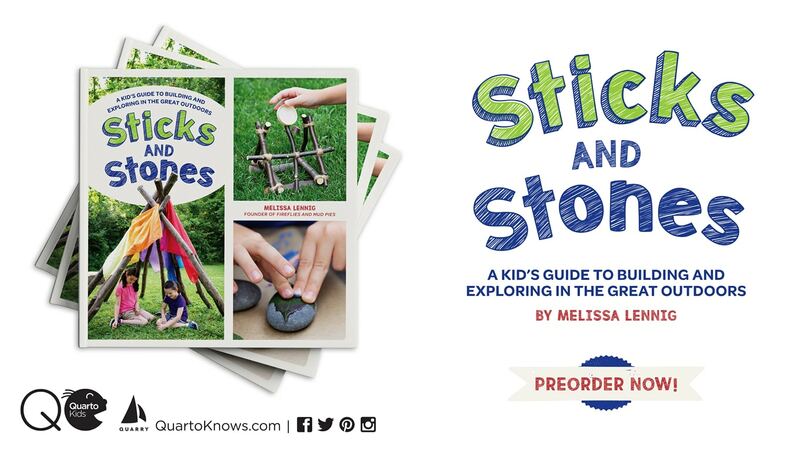 Kids love to help place the popsicle sticks in the mold. But eating the popsicles outside under a shady tree is their favorite part! Place the chopped watermelon into a blender, then liquify. Add fresh or frozen strawberries to the watermelon juice, then puree until smooth. If you need more, repeat. These looks so good. 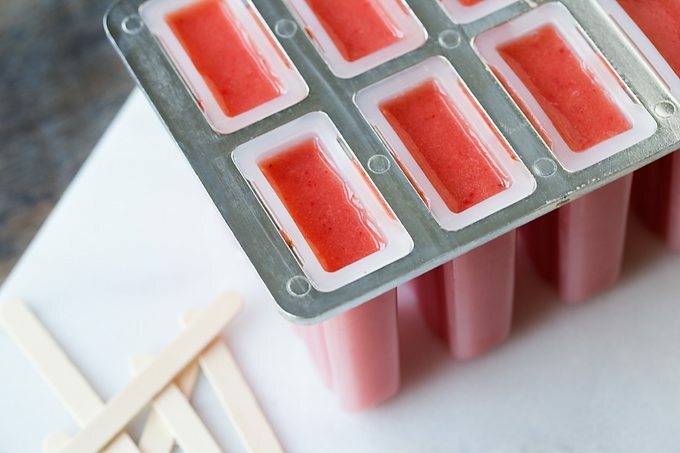 I have seen several different fruit “popsicle” recipes, but this is the first one I have seen that doesn’t contain any added sugar. Perfect for a friend who’s grand daughter can’t have added sugar.